-- I’m not going to see the TNF game tonight live. A first for me in, I think, ever. My wife’s favorite musician is in concert tonight and we got tickets a long time ago…and, surprise, I didn’t think about it being on a THU night in-season. Oh, well. I suspect with Indy’s injury report I won’t be missing much but a Patriots scrimmage game. I’ll be watching it on DVR into the wee hours of the morning. I’ll be following along on my phone, real time, you can bet on that! With this concert wrinkle, I’ll be wrapping/approving of/publishing our projections update around 4pmET today. Most key things out for Indy we already know. The more things out at CB officially (or not) for Indy will only make a slight tick one way or the other for the Pats WRs. The White-Michel, what WRs see work, and Gronk situations are more a bet on whether you think the Pats runaway and hide and treat this as a preseason game…or whether the Colts somehow hang in and force the Pats to play their normal game plan well into the night. I don’t see how the Colts don’t get popped here, and quickly…and we see players ‘resting’, like Gronk, and other youngsters getting work – like Michel and Gordon. -- Dynasty Stash subscribers…the 2017-18-19 rookie draft rankings were updated yesterday. The first Dynasty Stash ranking (offense) was published Tuesday night. The IDP Stash rankings debut is planned for next week, mid-week. About 100 names on the list. We’ll update all the stash reports weekly. 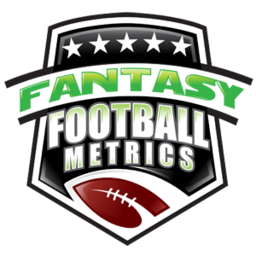 Special events for Dynasty Stash being planned after we get another few weeks under our belt of player performances and letting everyone see where their fantasy team records are at. We need time to see whether you’re in a more likely Stash position yet or it’s too early and you’re just planning/eyeing names. -- Video Chat Q&A pre-kickoff Sunday 11am-1pmET (12-12:30pm intermission for projections update) per usual. Event access info will be out Sunday morning.